Ethan Hawke saw Logan... and said... "No Man"... whoa. Ohhhh, Ethan Hawke! Mr. Papa from Boyhood himself! You’re not going to believe this, but the guy– the guy doesn’t like the superhero movies! What’s wrong, Richard Linklater regular Ethan Hawke? Did Avengers leave you feeling a-tired? Did The Incredible Hulk feel incredibly dull(k)? Spider-Man: Homecoming, more like Spider-Man, I’m going home! Let me try one more! The Dark Knight? More like it’s a dark night because instead of watching this movie I’m going to turn out the light and go the heck to sleep! Anyway, four time Academy Award nominee Ethan Hawke had some harsh words to say about Wolverine, a man with big metal claws and an undershirt. I’m always astonished, I’m sure you are too, you can go on Apple TV now and see that Joaquin Phoenix and Gwyneth Paltrow made a movie together that I never heard of. What? And like, Matt Damon’s in a Clint Eastwood movie I never heard of? So many things get lost in the cracks and if those big names are getting lost, where are the Gattacas of right now?… Now we have the problem that they tell us Logan is a great movie. Well, it’s a great superhero movie. It still involves people in tights with metal coming out of their hands. It’s not Bresson. It’s not Bergman. But they talk about it like it is. I went to see Logan cause everyone was like, “This is a great movie” and I was like, “Really? No, this is a fine superhero movie.” There’s a difference but big business doesn’t think there’s a difference. Big business wants you to think that this is a great film because they wanna make money off of it. Now… the truth is, Ethan Hawke is not at all wrong. The public has been sort of taught to exclusively see blockbusters, so the conversation is centered around blockbusters, and blockbusters do tend to be superhero movies. As a result, for better or for worse, some of our most discussed artistic achievements tend to be in the superhero genre. With the rare exception of Jordan Peele’s “Get Out”, art movies are relegated to this strange corner of obscurity where they continue to exist, and potentially celebrate but it will definitely be at least a couple of years before the public catches up to what from this era was a true masterpiece deserving of the kind of obsession that a movie such as Avengers: Infinity War seems to obtain effortlessly. Ohhhh! Ethan Hawke doesn’t like the little superhero movie? He thinks The Dark Knight Rises makes him rise all right… and leave the theater! Boy the guy sees Ant Man and goes, “I can’t, man!” Iron Man makes him go “I groan, man!”. Infinity War? 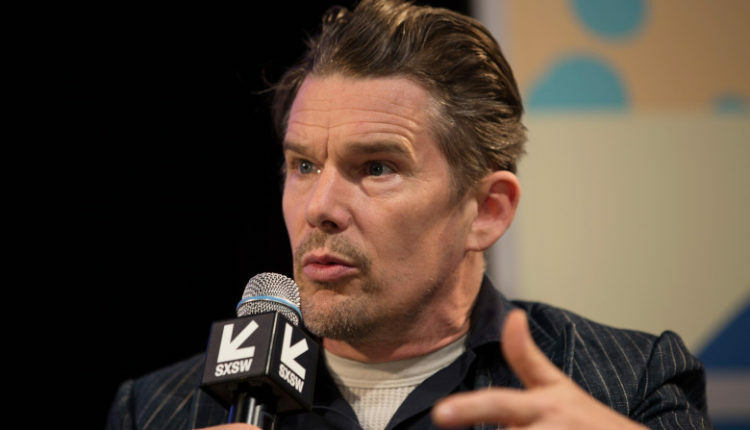 More like “I’m infinitely bored”, says Ethan Hawke probably. Anyway. I’m done. Ethan Hawke is right, go see some art movies you dorks. Otherwise you’ll get bored of Wolverine and Batman, and anything Ethan Hawke says won’t be as damaging to superheroes as that. What do you think? 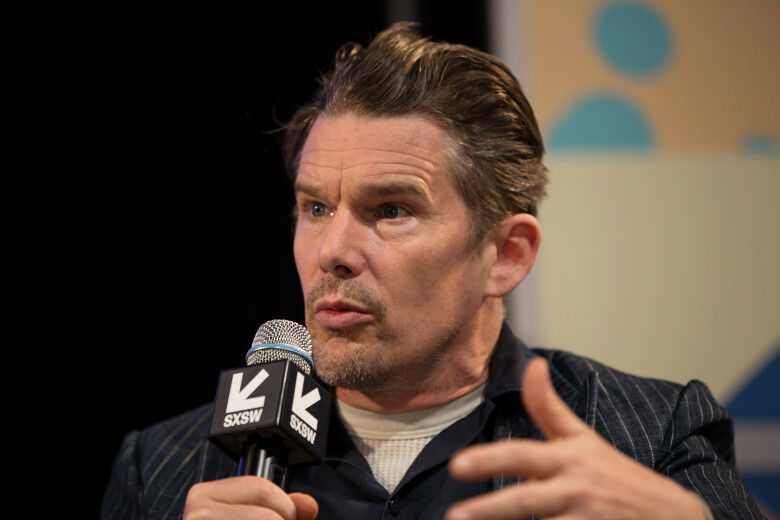 Does Ethan Hawke have a good… Hawke Eye from these thinks? Or does that joke make you go “I Groan, Man”, a thing normal people say all the time? Let us know in the comments or on Twitter at @WhatsTrending.